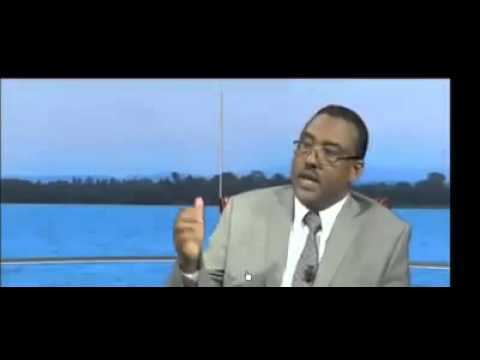 Barely a week after Prime Minister Hailemariam Desalege officially spoke against what he described as “racism” and “narrow nationalism” as reported by the Amharic Service of the Voice of America, Deputy prime minister Demeke Mekonnen came to the open to admit that Amharic speaking Ethiopians are persecuted in the Benshangul and Gambella regions of Ethiopia. Deputy prime minister openly admitted that “Amhara” ,that is a reference to Amharic speaking Ethiopians,have become victims of illegal administrative practices and were persecuted in Benshangul and Gambella regions. During the interview, Demeke Mekonenn asserted that the task of preventing persecution against Amhara is the duty of not only what he called the representative of Amhara people in the ruling coalition, which is dominated by the minority Tigrai’s people Liberation Front, but also members parties of the ruling coalition and their administrative structures. Citing the constitutional rights of Ethiopians to live and work in every parts of the country, Demeke said that the attack on Amhara in Benshangul and Gambella regions were illegal. Observers and analysts criticize the government as the sources of the problem and that what is manifested is only tip of the iceberg. It does seem to be the case that the dominant party in the ruling coalition – TPLF – is playing foul to effect a situation that affects Amharic speaking Ethiopians.